Official sponsor of the Niagara Region DE program. Nestled in the hills above Seneca Lake and located a stone’s throw from the gorge in Watkins Glen State Park the lodge as been a landmark for vacationers, sportsmen and racing enthusiasts for more than 50 years. Eksten Autoworks graciously hosts the annual Niagara Region Tech Inspections. 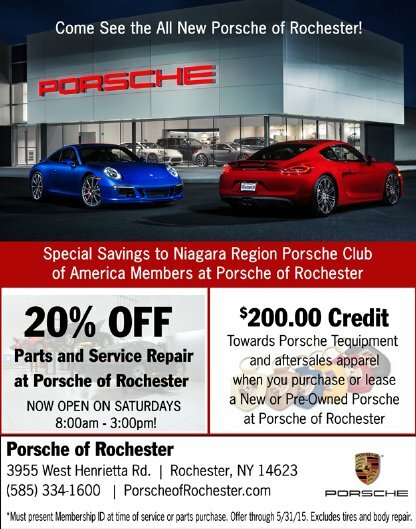 Visit Eksten’s for all your Porsche and other automotive service needs. Located in Rochester, NY. Porsches aren’t ordinary cars. Why bring it to an ordinary shop? 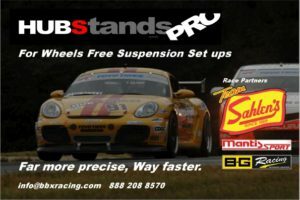 From general service to full race prep, contact The Little Speed Shop. Located in Rochester, NY. Corner Balance, Caster, Camber and Toe. All at Once, All at the Hubs… All Without Wheels. Far More Precise, Repeatable and Way Faster. 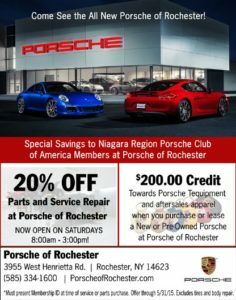 Porsche of Rochester has generously offered it’s showroom as a starting point to our annual Chili Run for many years as well as hosting a VIP hour for club members at the Porsche Launch parties. Check out our online inventory of both New and Pre-Owned Vehicles, including the 911 Carrera, Boxster, Cayenne, Cayman, and Panamera. 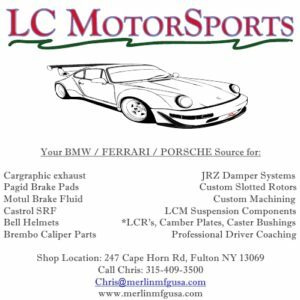 We are a family run company that takes pride in providing the Motorsports and Manufacturing Industries with quality products and services.